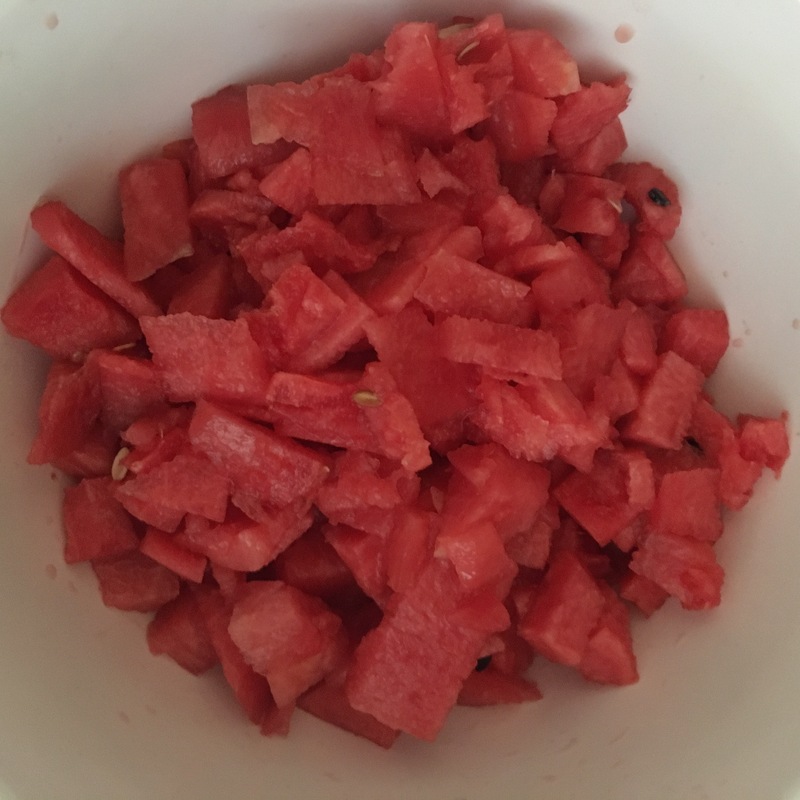 Nothing taste better on a warm humid summer day than a cool refreshing watermelon. 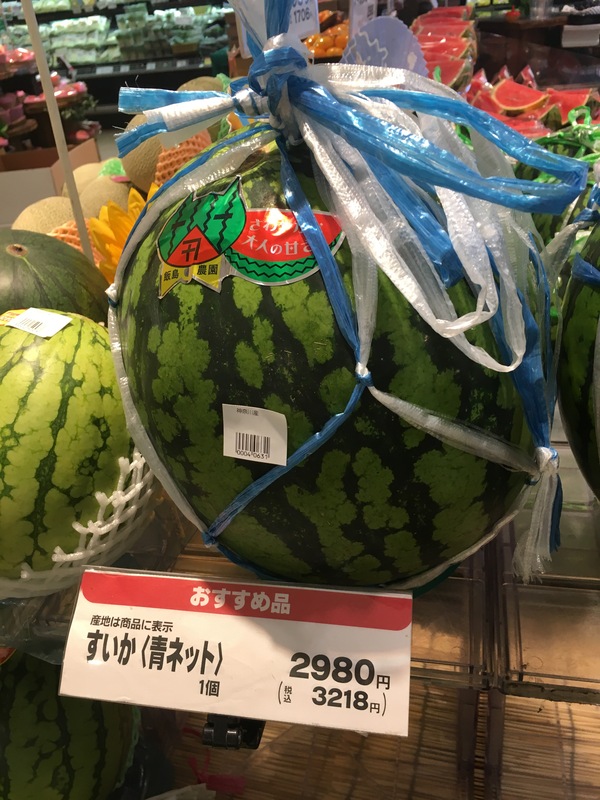 Fruit in Japan is beautiful and expensive. 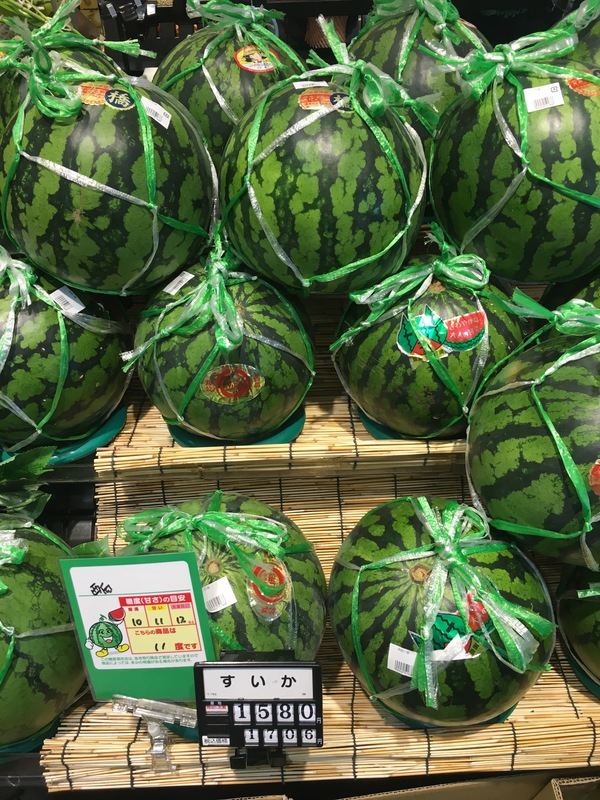 For example, the large watermelon at Costco was ¥2,378 (about $23.00). At our local grocery store, Yorkmart, there were more size options. The larger one was ¥3,218 including tax! 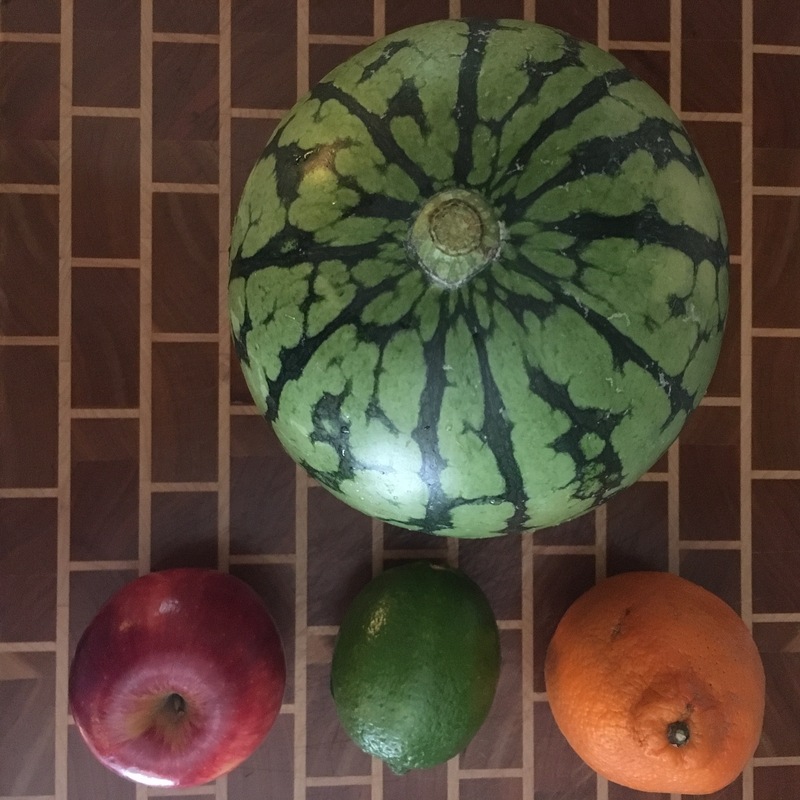 That’s more than $30 for a watermelon! Don’t you love how they are wrapped for easier carrying? Genius!! 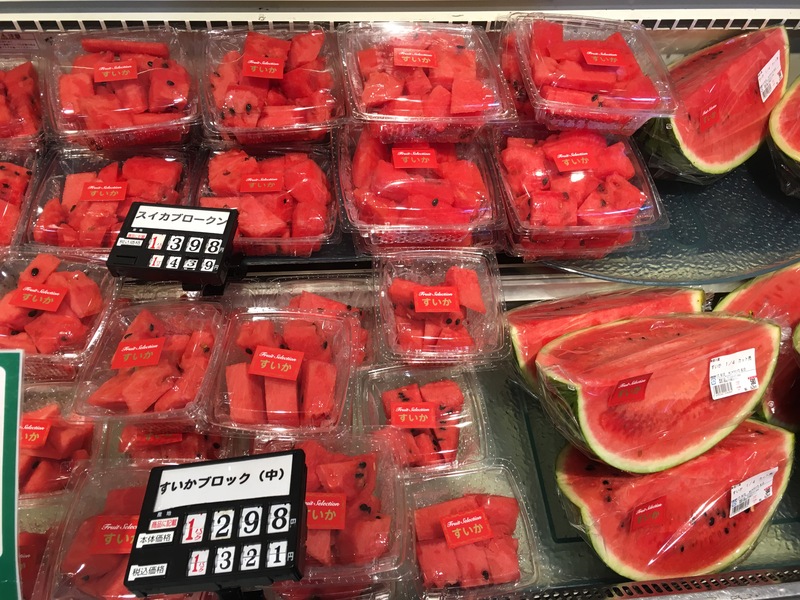 The store also sold a variety of watermelon pieces. 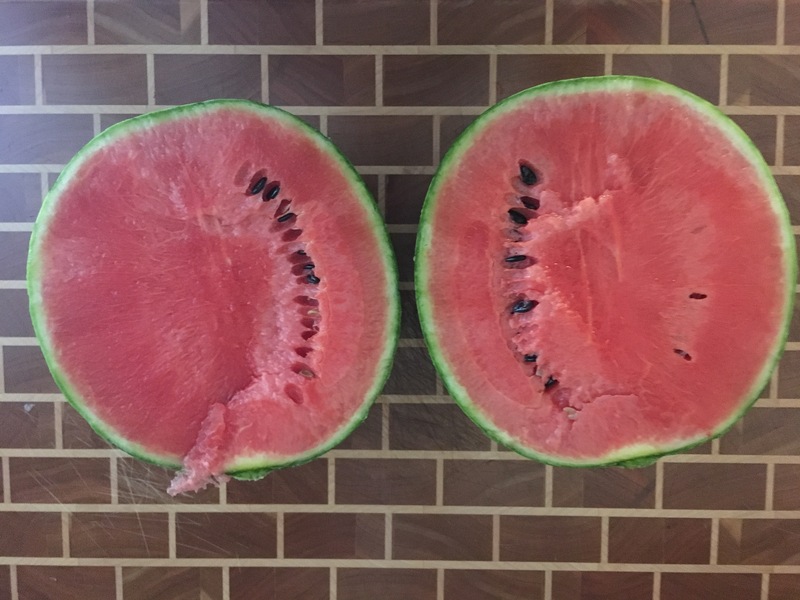 I selected a smaller watermelon from Family Mart for us to enjoy. The price (¥650 – $6.00) seemed a little better and the size was perfect. 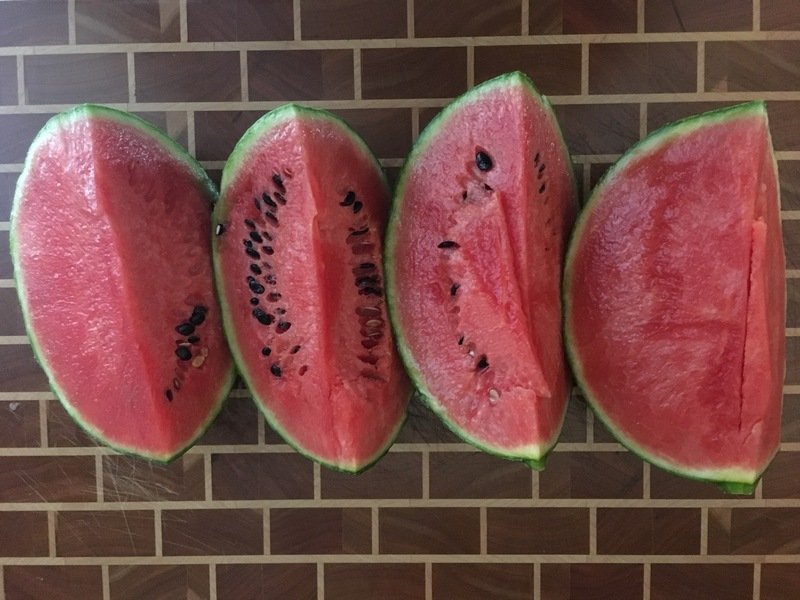 Plenty of delicious watermelon for us to enjoy for a refreshing dessert. 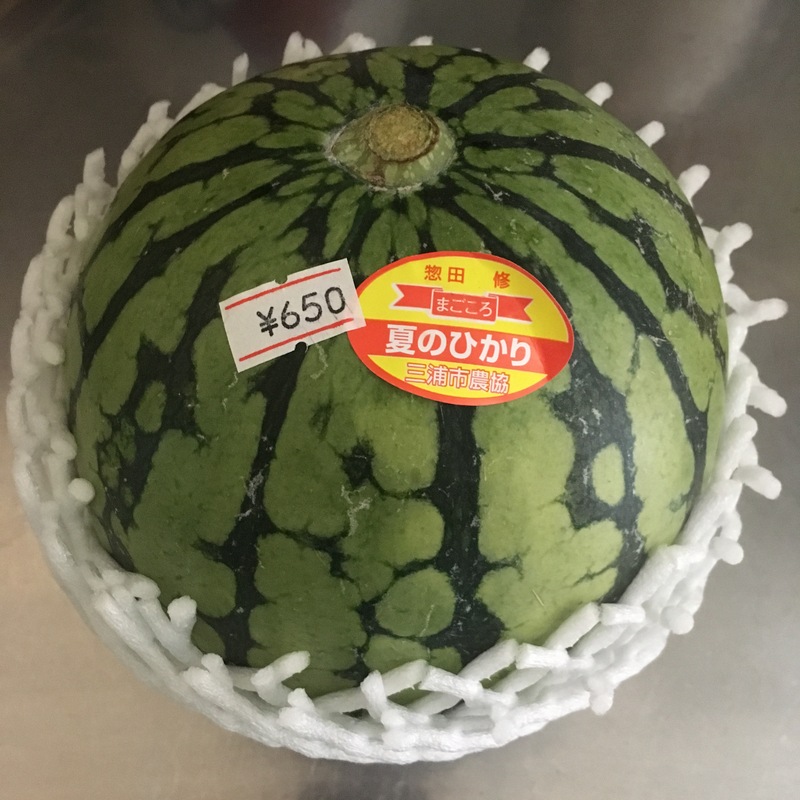 In June, I was able to find watermelon Chu-hai at the 7-11. I had dreams of making a nice watermelon spritzer by pouring a watermelon Chu-hai over with freshly frozen watermelon. 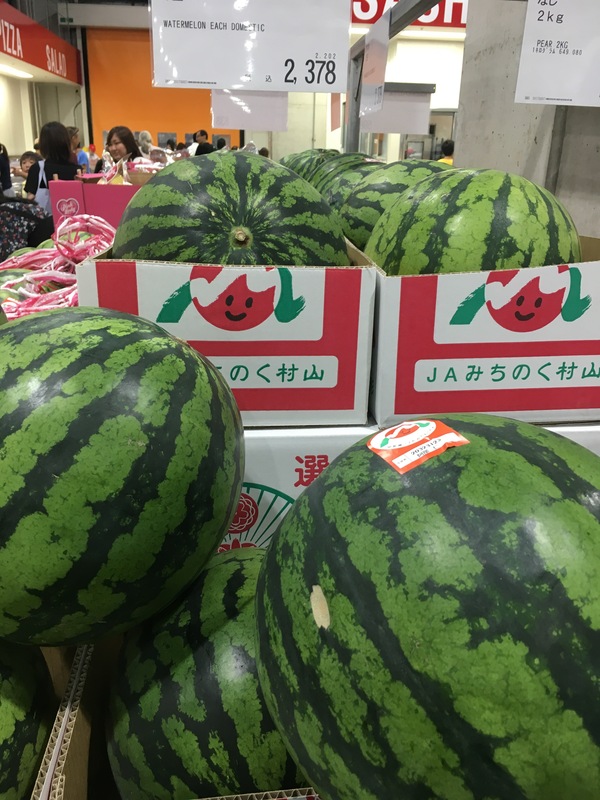 Unfortunately, I haven’t been able to find watermelon Chu-hai since I returned from America. I suppose, I’ll need to wait until next year for that delightful beverage.